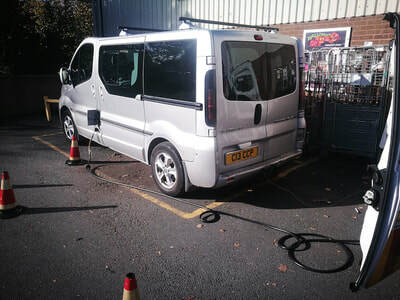 Well if you are viewing this page you most likely have put the wrong fuel in your car at a petrol station somewhere in Wales and looking for a cheap fuel drain that is quick to get you back on the road. 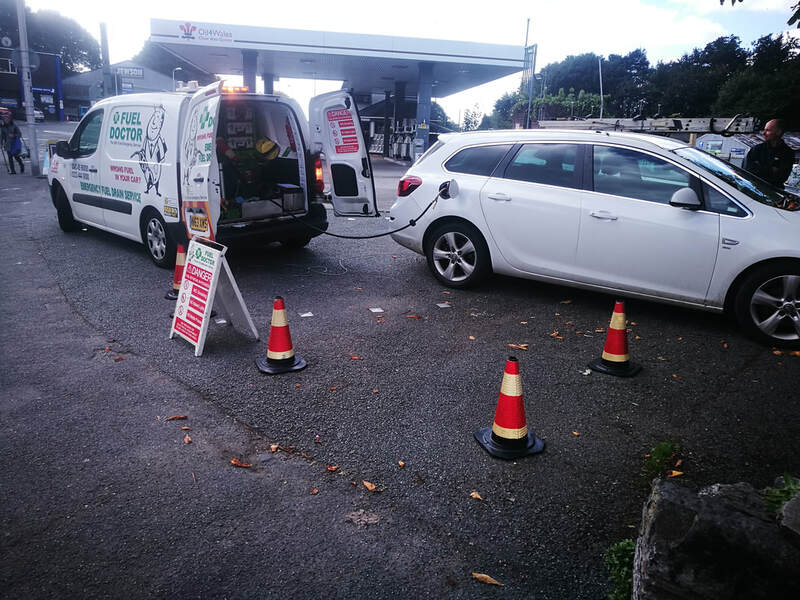 Our Fuel Doctors covering all corners of Wales are on hand to get you back on the road within 1 hour with the best mobile fuel drain service available throughout Wales and Anglesey. We perform fuel drains all makes and models of cars, vans and motorbikes. If the fuel can be contaminated, we can drain and replace with the right fuel. 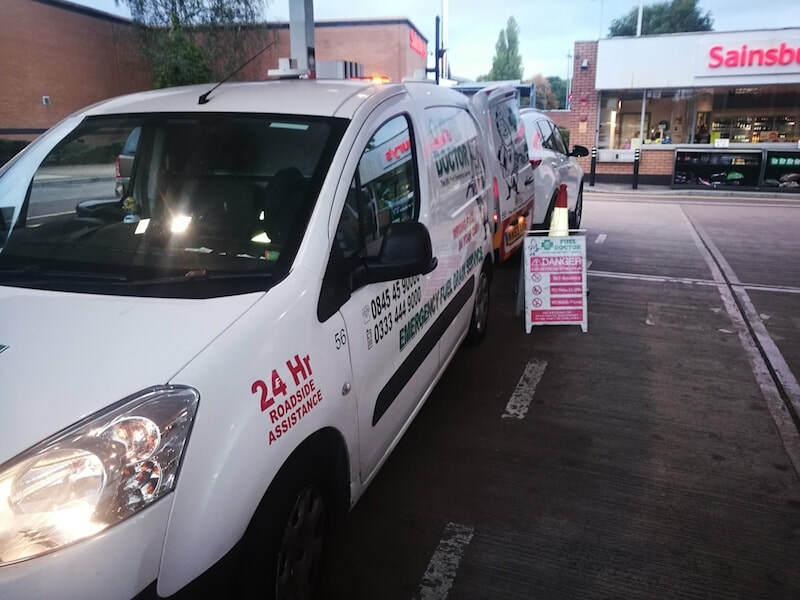 So no matter what your problem if you are in Wales, then get in touch with us today and we can arrange to meet you by the roadside and get you back up and running again. 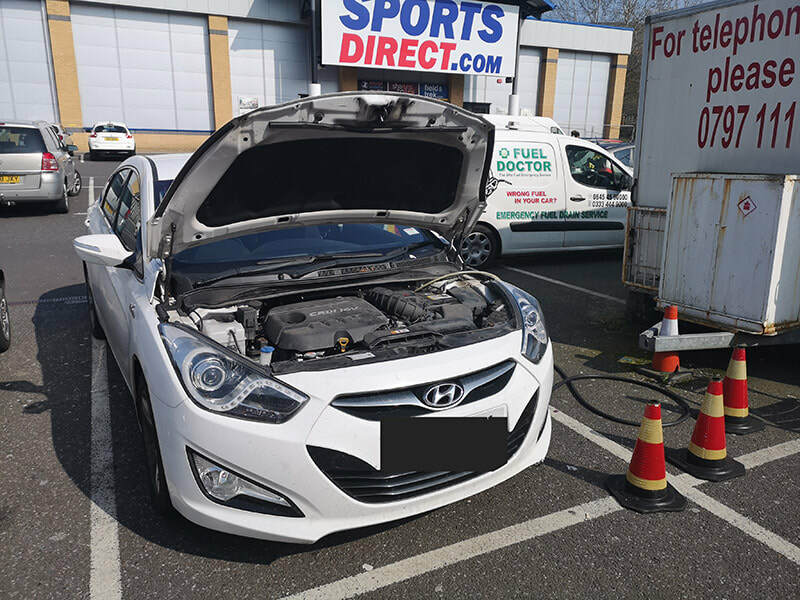 An unlucky customer in Newport South Wales injects Diesel into their Petrol engine.. They searched online and found the best company for the job Fuel Doctor. Before long a Wrong Fuel engineer was on the scene to drain the wrong fuel, clean the tank and send them on their way. ​Get in touch with us today if you need any kind of wrong fuel assistance! Brand New Kia Sportage Filled With Wrong Fuel In Cwmbran, South Wales. First time filling their brand new Kia Sportage (with only 400 miles on the clock) and forgets it's no longer petrol tank.. It's Diesel. Fuel Doctor was quickly on scene to drain and clean the tank and get the Kia back up an running. For any and all of your wrong fuel rescue needs get in touch today to speak to a friendly operator. 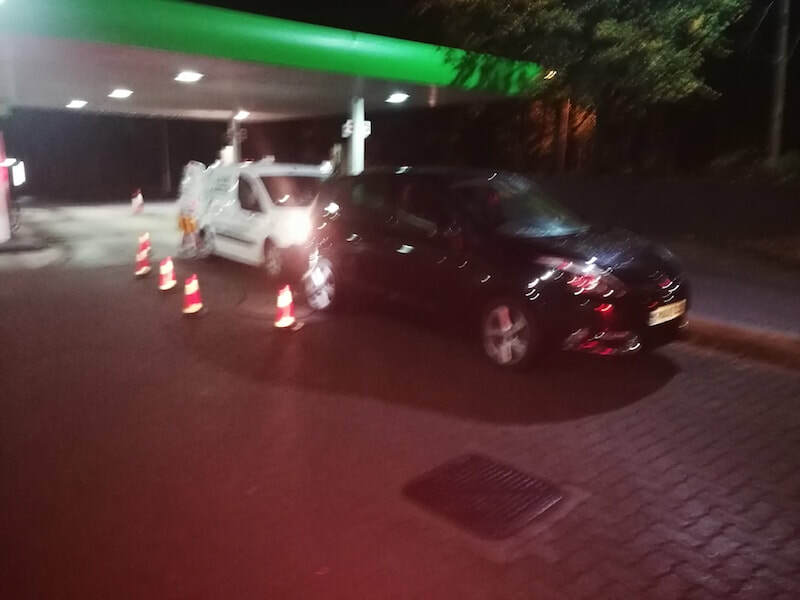 This unfortunate customer put the Wrong Fuel in their new Mercedes-Benz as they'd forgotten that their new car takes diesel and not petrol as they were accustomed to using. 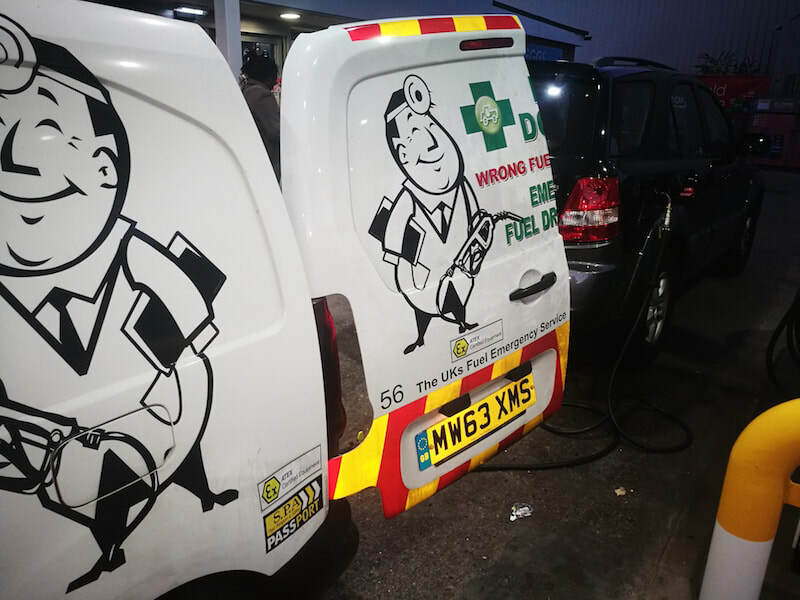 Luckily they enlisted the services of Fuel Doctor and were soon met on site by an experienced engineer who drain the Wrong Fuel, cleaned out the tank and sent them on their way. iIf you run into similar troubles, dont panic, we can dispatch a Fuel Doctor to you in under an hour. Get in touch with us today! This customer and his family were stuck dead in the services carpark after realising they had used the Wrong Fuel in their people carrier. luckily they called the right company for the job and a Fuel Doctor was immediately dispatched. Arriving within the hour our experienced engineer drained and cleaned the tank, sending this family on its way. 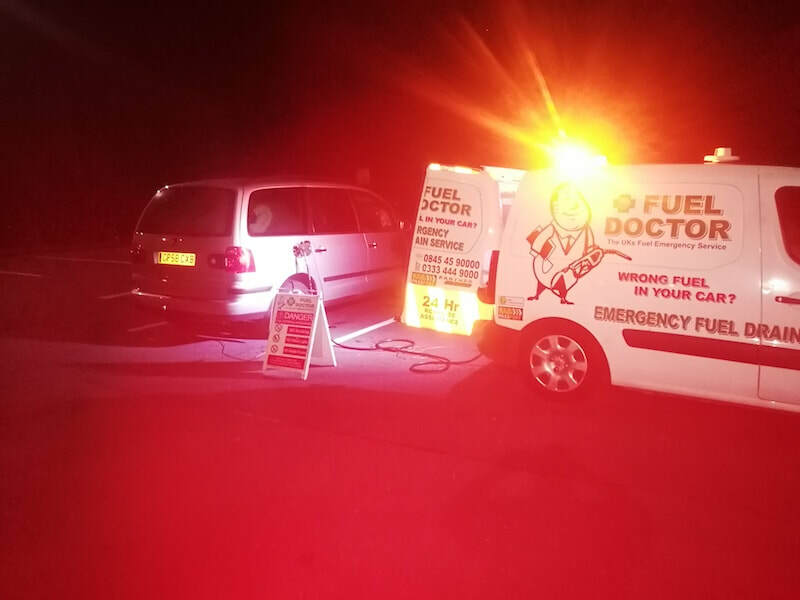 We were called out to a customer that had put petrol in their diesel Peugeot on the edge of Aberystwyth on the east coast of Wales. We got the customer back on the road with the engine drained and flushed through within the hour. Another very happy customer of Fuel Doctor who would highly recommend other people if they get stuck. 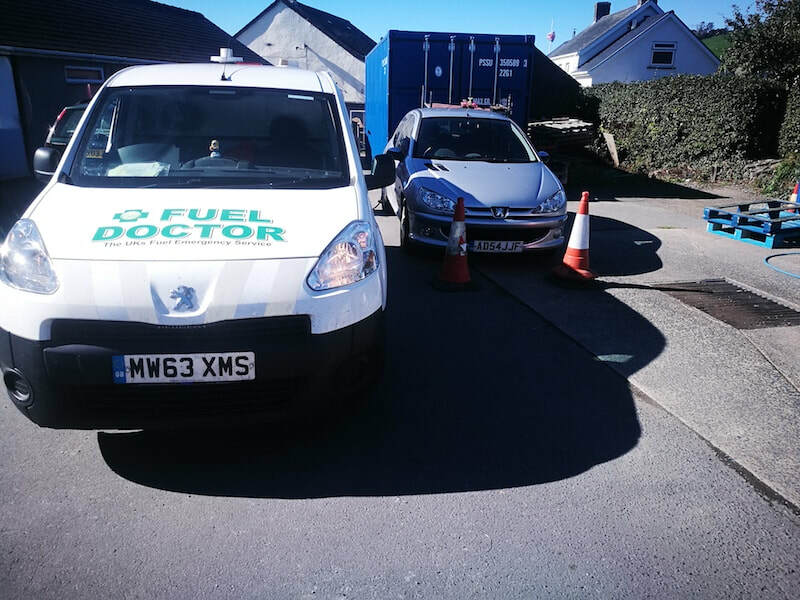 This customer in Tenby Wales put the petrol in his Toyota Avensis estate and was pushed from the forecourt to one side. 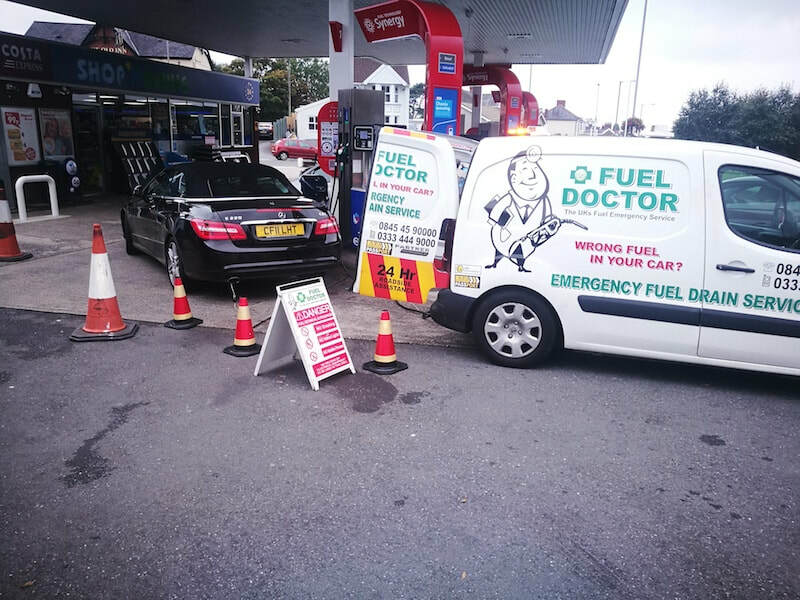 We arrived at his Tenby location within the hour and drained the contaminated fuel from his car and back on the road in no time. Another happy customer with the Fuel Doctor service.